Q. How do I read an article that doesn't have full text? Some databases have full text articles AND abstract only articles. Some of our databases ONLY have abstracts. 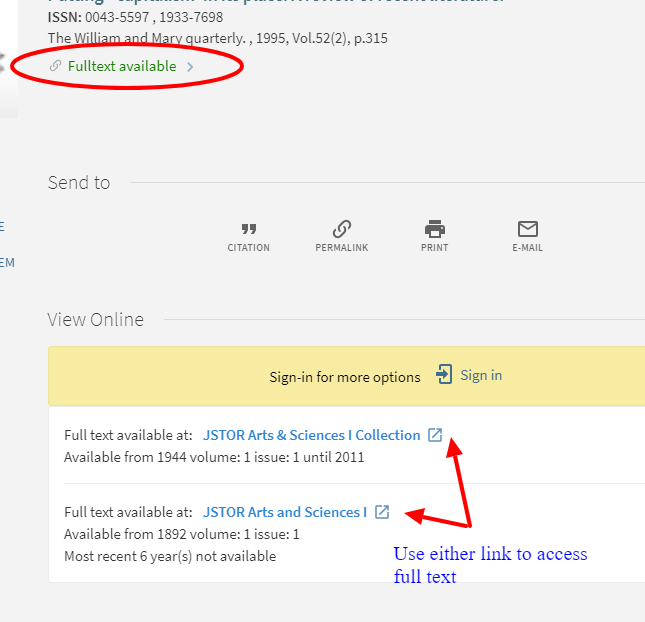 These databases let you know that an article exists and allow you to read the abstract (a summary of the article), but you'll have to look elsewhere to read the full article. If "LincIT" appears alongside or under the abstract, you can click the link to check for the article in another database. 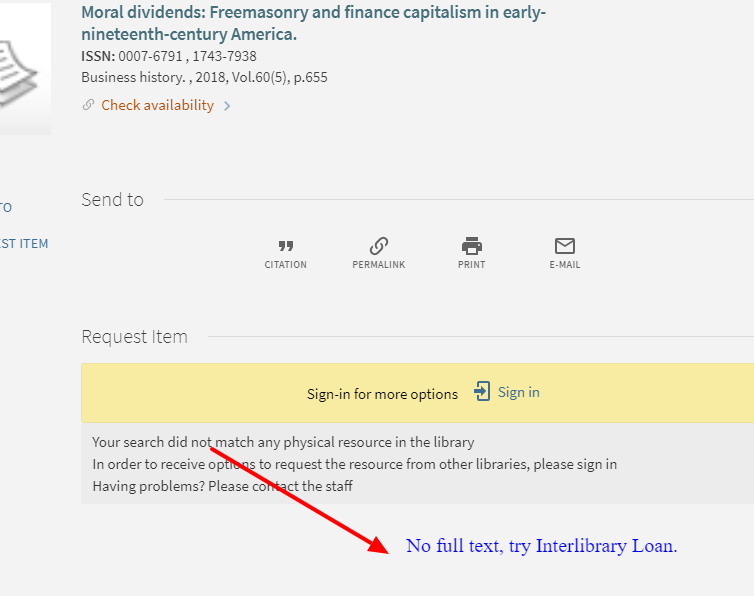 If that's not successful, you can make a request for the articles through Interlibrary Loan. The process can take a few days, so make sure to start your research early. If you have questions about any of this, please Ask A Librarian! In this example, we see LincIt. After we click LincIt, we are given a message that the article is not found in Full Text. We should then make a request through Interlibrary Loan. In a different example, LincIt did find Full Text. We can click either of the links to be taken to the full article.